Find out about our range of products, from horseradish and wasabi to mustards and gherkins, available in pro format in any quantity up to a tonne. 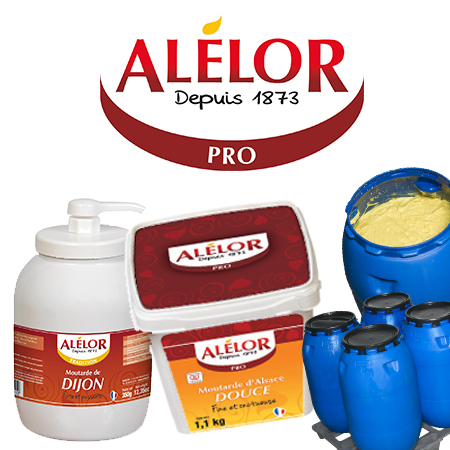 If you’re a restaurant, hotel or deli owner, or a salesperson and you’re looking for high-quality products for your tourist clientele, Alélor has a full range of mustards and condiments for them to buy. Contact us if you have an enquiry or would like samples, a pricelist or product fact-sheets. All enquiries are welcome and we can tailor our products to your specific requirements.